To begin celebrations of VisitEngland’s English Tourism Week (30th March – 7th April) initiative, Experience Oxfordshire set up a pop-up stand in Oxford Railway Station to promote Oxfordshire’s varied offering to excited visitors journeying through the station. 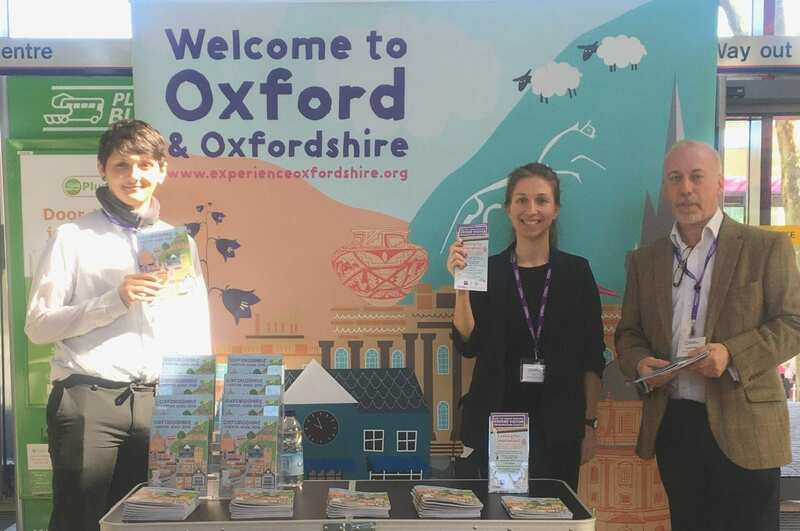 The team handed out 500 Oxfordshire Visitor Guides to encourage tourists and residents to venture out and enjoy the wonderful array of things there are to see and do in Oxfordshire. Promoting Oxfordshire through important travel links such as Oxford Railway Station are a key part of Experience Oxfordshire’s work as the Destination Management Organisation for the county. “VisitEngland’s English Tourism Week marks the beginning of the main tourism season in the UK. In Oxfordshire, we want to celebrate the week by promoting all there is to see and do in Oxfordshire to the people who live in or visit the county. Great Western Railway is a valued Ambassador partner of Experience Oxfordshire, and the travel links that Oxford Railway Station provides to the Oxfordshire visitor economy is invaluable”. 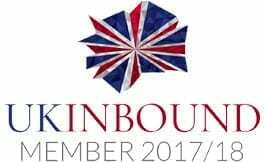 Experience Oxfordshire have events planned throughout the week in celebration of English Tourism Week, including the launch of the new Oxford Pass at Blenheim Palace with Denis Wormwell, Chairman of VisitEngland. Follow updates on Twitter at @ExperienceOxBiz. Great Western Railway (GWR) is one of the largest and most complex rail networks in the UK, carrying one and a half million passengers every week on 9,000 services, and calling at 276 stations. GWR manages 197 stations, one of which is Oxford Railway Station. Taking place in spring each year, English Tourism Week campaigns to raise the profile of the industry and celebrate the value and quality of tourism in England. The campaign provides the tourism industry with a vehicle to kick-start the season and promote local tourism products. Everyone can participate in the campaign, from accommodation providers, attractions, tourist information centres and destinations, to related sectors such as hospitality, transport or retail.